After a house move or some renovation work, it’s likely that your house has collected a lot of rubbish. Getting rid of this type of waste is not as simple as just throwing it all in the bin. As much as we’d like N10 rubbish clearance be that easy, the fact is that bits of wood, nails and other building materials can cause splinters and other serious injuries to those disposing of your waste. This is why Muswell Hill waste clearance needs to be disposed of in the correct manner and we know just how to do it. If you have rubbish left over from your building work, or if you just have too much junk in your house in general, give Handy Rubbish a call on 020 3540 8282. Our skills are highly sought after in this competitive industry; what makes us stand out from our competitors is the mere fact that we work tirelessly to ensure that we are doing everything possible to accommodate you, the customer and are keeping you satisfied, which has resulted in us delivering top class Muswell Hill rubbish disposal services time after time. With the suburb being so close to the rest of Central London, many business owners choose to base their offices in the local area. At Handy Rubbish we know the importance of keeping your office space clean and rubbish free, because after all, a clear work space means a clear mind. Over the years we have provided business owners with comprehensive clearance services, ranging from junk removal, waste disposal N10 and general office clearance. Our Muswell Hill rubbish removal services N10 can all be booked at affordable rates and come with our friendly, knowledgeable and professional staff that will get to work and complete the task at hand quickly and efficiently. Because of our reliable and experienced staff, and because of our competitive prices, our company is all you need for effective and efficient waste collection in Muswell Hill, N10. Hire us and you won’t even notice that we’re there because we certainly don’t want to disturb your place of business as we understand that time is money. We are attune to your needs as a business and are adept at handling a range of different waste removal Muswell Hill requirements so give us a call today on 020 3540 8282 to find out more and to book one of our services. 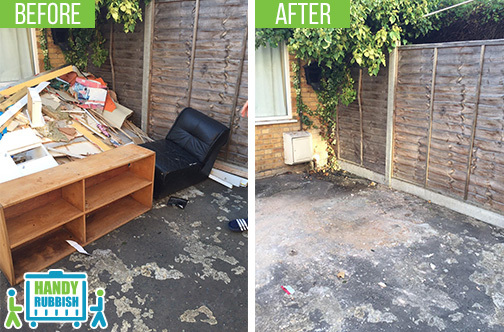 Booked their waste clearance service in Muswell Hill and received a free estimate. The estimate was accurate and the job was handled in a quick and professional manner. I even saved money as they were the firm to offer me the lowest quote in N10! Muswell Hill is situated in North London and is part of the London Borough of Haringey. Its postcode district is N10. 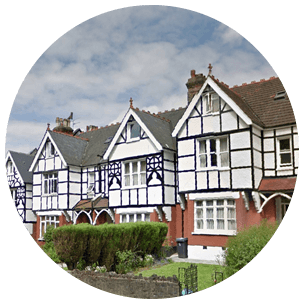 Nearby areas include East Finchley, Highgate and Wood Green. This North London suburb is popular with families and city workers alike. With plenty to keep you occupied and being in such close vicinity to Central London, you will have everything that you need right at your doorstep. The man shopping area of Muswell Hill is at the Muswell Hill Broadway and on Fortis Green Road where you will also find plenty of eateries and pubs to keep you fed and watered after a long day traipsing around the shops. Muswell Hill is truly a desirable location and as its name suggests, much of the area is on a raised, hilly ground, which can provide you with beautiful views of the London city skyline. With the area being so close to the rest of the city, there are a number of transportation options such as trains from the nearby Highgate Tube Station or the bus routes from Muswell Hill Station.